Should he stay or should he go? And how much is too much to re-sign the 28 year old blueliner? Lost in all the talk about William Nylander and his contract standoff with the Toronto Maple Leafs and the upcoming negotiations for superstars Auston Matthews and Mitch Marner is the fact that the Leafs’ top scoring defenseman over the past five seasons is slated to hit the open market as an unrestricted free agent after this season. Jake Gardiner put up 52 points in 82 games with the Leafs last season and is on pace to put up 40+ points yet again this season. Should he maintain his clip or even get back to last year’s pace, it’s clear that Gardiner will command top dollar on the open market. His five year, $20 million deal expires on July 1st and it’s expected that he’ll command as much as $7 million on the open market. So now the question is… do the Leafs keep him? If not, do they trade him before the NHL’s February 25th trade deadline? If they do keep him, what’s he worth? NHL insider Elliotte Friedman dropped some inside knowledge about Gardiner and the Leafs’ plan for him moving forward in his latest 31 Thoughts column for Sportsnet. 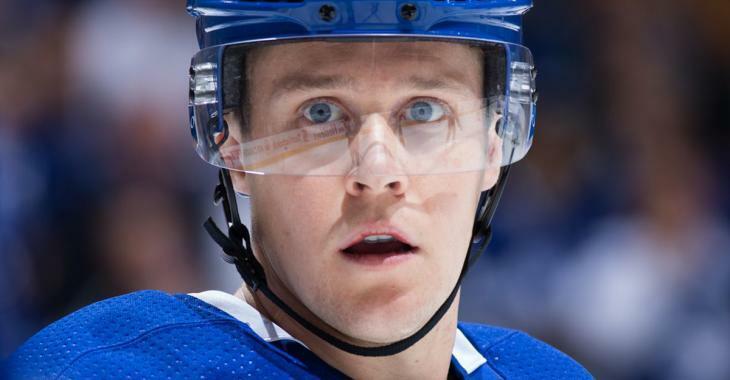 Toronto is going to take a shot at keeping Jake Gardiner. The odds are long, but he likes it there and they like him. He leads the Maple Leafs with 19:46 at even strength per night. They will offer him term and be generous with bonus and structure. It comes down to how much he’s willing to leave on the table. This has the potential to blow up in Leafs general manager Kyle Dubas’ face in a big way. Should he gamble on re-signing Gardiner and fall short of meeting his salary demands then he risks losing his services for nothing. Should Gardiner hold firm on his asking price, whatever it is, Dubas risks seriously overpaying for an aging defenseman who has proven that he just doesn’t have what it takes to be a true #1 defensemen. Either way, it’ll be interesting to see what Dubas and the Leafs elect to do in advance of this season’s trade deadline.